I recently checked in a feature that allows fairly extensive comparisons of different runs in Faban. Although the ‘Compare’ button has been part of the Results list view for awhile, it has been broken for a long time. It finally works! The purpose of this feature is to compare runs performed at the same load level (aka Scale in faban) and on the same benchmark rig. Perhaps you are tuning certain configs and/or code and are doing runs to analyze the performance differences between these changes. 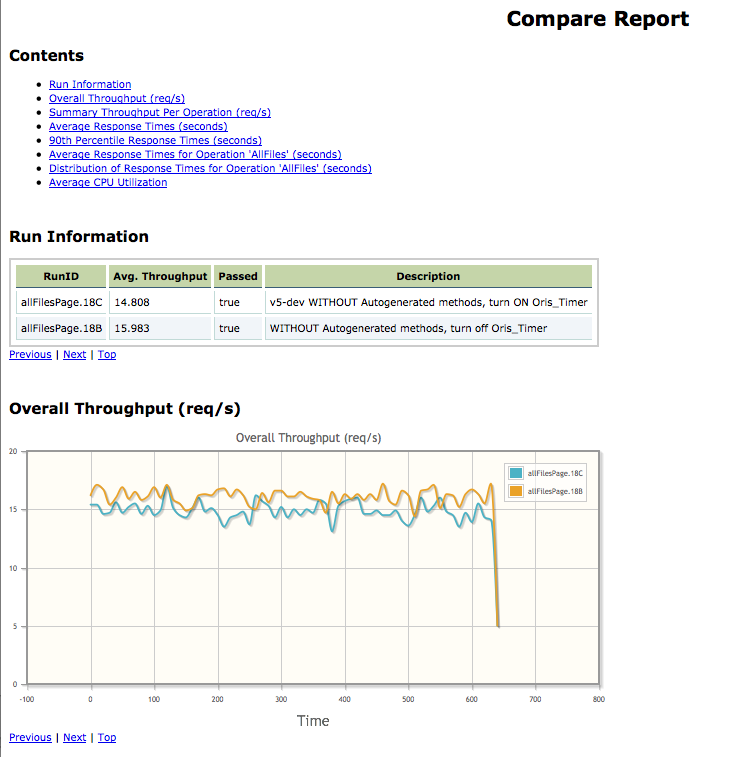 The Compare feature lets you look at multiple runs at the same time on multiple dimensions: throughput, average and 90% response times, average CPU utilization, etc. This gives a single page view that can quickly point out where one run differs from another. This is easy. On the results view in the dashboard, simply select the runs you want to compare using the check box at the left of each row. Then click the Compare button at the top of the screen. The first part of the comparison report looks like the image below. The report combines tables with graphs to make the data relevant. For example, Run Information is a summary table that describes the runs, where as throughput is a graph that shows how the overall throughput varied during the length of the test for all runs. How can I get this code? The code is currently in the main branch of the faban code on github. Fork it and try it out. Once I get some feedback, I will fix any issues and cut a new binary release. Published at DZone with permission of Shanti Subramanyam , DZone MVB. See the original article here.